In Mongolia, temperatures fall as low as -40°C in mid-winter. The heat and electricity generated by Thermal Power Plant No.4 (TES4) in the capital city of Ulaanbaatar is an important lifeline for the people living there. This is the largest coal fired power plant in Mongolia and it generates 70% of the electricity for Mongolia's central energy system and 65% of the heat energy used by Ulaanbaatar district heating system. TES4 was built many years ago and has been severely affected by the scarcity of spare parts for its legacy systems. Plant shutdowns were a frequent occurrence due to equipment malfunctions and accidents, disrupting the supply of heat and power. In addition, the plant caused severe air pollution due to inefficient control of coal combustion. Efforts to correct these problems were also hampered by the loss of many of the plant's original blueprints and other design related documents. 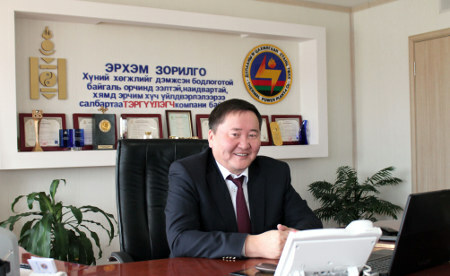 To solve these problems, the Mongolian government decided to execute a plant revamping project in two phases using an official development assistance (ODA) loan. Phase one for boilers one to four started in 1998 and was completed in 2001. Phase two for boilers five to eight started in 2001 and was completed in 2007. For this project, Yokogawa delivered control systems and field instrumentation for all eight boilers. The original combustion system used indirect firing, with pulverized coal being transferred from a storage silo whenever the boiler was started up. With the exception of feed water control, all the boilers and mill burners were manually controlled by operators. There were many equipment problems, a high risk of explosions, and extremely low combustion efficiency. In addition, there were just a few of the original blueprints dating back to when the plant was built in the 1980s, and none showed the boiler design in detail. As a result, no one completely understood the actual workings of the plant. Use of a power plant simulator to train operators and achieve a smooth transition to screen-based operations. First of all, information had to be gathered that would provide a starting point for the automation design. This was followed by conversion to a direct firing boiler combustion system in which pulverized coal is directly loaded into the boilers and the replacement of the old mill burner control systems with a Yokogawa DCS. To meet the customer's requirements for changing the old indirect combustion system to a direct combustion system, a Yokogawa project team of Russian, English, Mongolian, and Japanese speakers conducted a detailed investigation of the original boiler combustion control system and coordinated its activities with a new burner vendor. They had to crawl around every nook and cranny of this plant to create a piping & instrument diagram (P&ID) and a cabling drawing that accurately described the plant configuration. This was dirty and challenging work and it took many days to complete. Finally they succeeded in bringing together the documentation needed to design the automation for the plant's boilers, burners, and balance of plant facilities and change to a direct firing boiler combustion system. With the completion of both phases of this project, the control of all eight boilers has been integrated with a Yokogawa CENTUM CS 3000 DCS. The operator stations were changed over from conventional analog panels to a modern graphical user interface, and this has improved the efficiency and safety of plant operations. 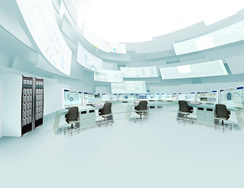 In addition, a Yokogawa Exaquantum Plant Information Management System was installed to enable remote monitoring of all boiler operations from the administration building, which contributes to correct and prompt plant operation management. As for the system architecture, a redundant remote optical network was used for the I/O system to reduce the cabling cost and improve safety and reliability. 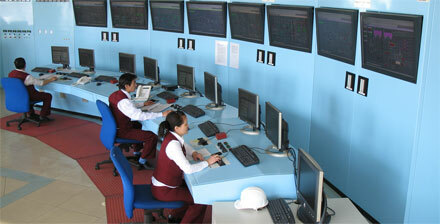 Together with a state-of-art DCS, a power plant simulator was provided that operators can use to upgrade their skills. This made possible a smooth transition from the conventional analog control panels to an all-new graphical user interface. One by one, the eight boilers were changed over to the new control system and resumed operation, starting at the end of 1998. Reliability and safety have both been dramatically improved as a result of a steady decline in the number of boiler trips and accidents. With production up and oil consumption down, it has been possible to significantly reduce energy imports from Russia. With the reduction of boiler trips and plant accidents, boiler combustion efficiency has been dramatically improved. In addition to ensuring a stable supply of heat and electricity to the city of Ulaanbaatar, this has made it possible to generate more electricity from the same amount of coal. The amount of oil consumed for plant restarts has also been decreased, further reducing CO2 emissions. The Yokogawa project team worked together with TES4's engineers from start to finish of this project, providing them the opportunity to improve their skills in such areas as engineering design and commissioning. A number of the boiler control systems were successfully replaced by the TES4 engineers. This transfer of power plant engineering expertise was one of the main aims of this ODA project, and this ensures that the skills and know-how are in place to sustain operations at this plant. More than a year after phase one was fully completed, one of the four boilers caused a trip. Yokogawa dispatched engineers immediately and made every effort to solve the problem. The investigation found that the boiler trip was caused by a malfunction in one of the conventional components left over the old plant control system. Even though a Yokogawa product was not at fault, the company's engineers provided the TES4 engineers the support they needed to get the plant safely operating again. Mr. J.Osgonbaatar, Executive Director of TES4, says, "Seeing is believing. Whatever beautiful things sales people say, I will not believe until I see them at work. When we experienced the plant trip, I learned what makes Yokogawa different from others. I admire their sincerity and devotion toward customers."